LOS ANGELES The unschooled and illiterate former mayor of the scandal-ridden suburban city of Bell had no training that would have alerted him that his huge salary was illegal, his lawyer told a jury in closing arguments Thursday. Former Mayor Oscar Hernandez didn't have a college or high school degree and didn't even finish elementary school, defense attorney Stanley Friedmand said. Hernandez is among six former Bell city officials on trial for allegedly misappropriating funds. He was earning just under $100,000 a year for the part-time job. Friedman argued that financial advisers hired by the city could have informed Hernandez that salaries being paid to council members were illegal, but no one did that. "They didn't say, 'Stop in the name of the law. These salaries are illegal,'" he said. Hernandez was known around town for having a big heart and being willing to listen to everyone's problems, and like many other politicians of simple backgrounds, he wasn't required to be scholarly to be mayor, the lawyer said. "We elect people who have a good heart. Someone who can listen to your problems and look you in the eye," Friedman said. "There are a lot of elected officials who may not be the most scholarly. We had a vice president of the United States who didn't know how to spell potato." Friedman said former California Gov. Arnold Schwarzenegger's main qualification was "he portrayed a killer robot in the movies. And (former Minnesota Gov.) Jesse Ventura was a professional wrestler." In prosecutors' closing arguments on Wednesday, they said the six officials facing charges of misappropriating funds felt they were above the law and collected paychecks for jobs that didn't exist. Legally, the officials could have paid themselves $673 a month for what was a part-time job, since they didn't actually run the city, Deputy District Attorney Ed Miller said. But in addition to their inflated council salaries, the officials appointed each other to commissions that did nothing and often met yearly just to increase their pay, he said. In the midst of a national economic meltdown, the council members were drawing salaries 3 1/2 times that of the median income of a resident in the blue-collar town, he said. If convicted of various counts of misappropriation of funds, they could face sentences ranging from 11 to 20 years. Later Thursday, lawyers for two other former officials claimed their clients were victims of a city attorney who never told them what they were doing might be illegal. 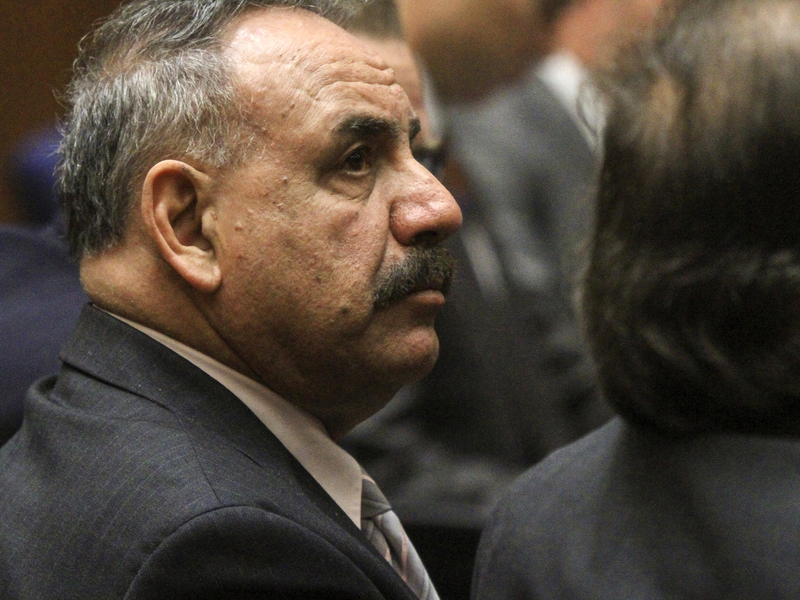 Lawyers for the other three defendants  former council members George Mirabal, Victor Bello and Luis Artiga  were to present closing arguments later Thursday. After disclosure of the scandal in 2010, Bell residents revolted and turned out in the thousands to protest at City Council meetings. They ultimately staged a successful recall election in 2011, throwing out the entire council and electing a slate of new leaders. An audit by the state controller's office determined Bell had illegally raised property taxes, business license fees and other sources of revenue to pay the salaries and ordered the money repaid. Former city manager Robert Rizzo and his assistant city manager, Angela Spazzio, face a trial later in the year.